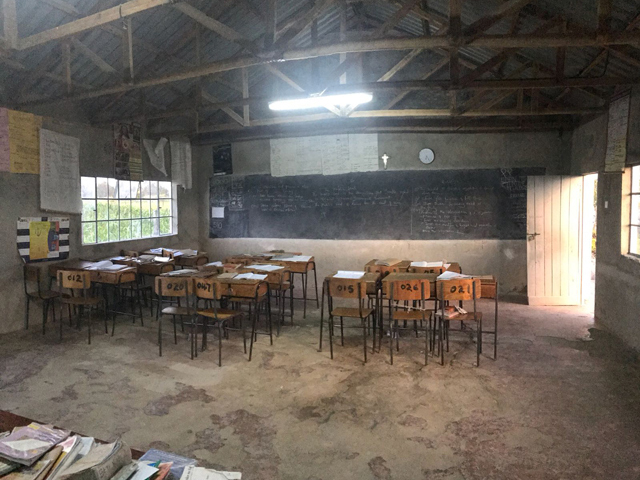 In 2017, Staysure named The Karuri Project as one of its charities of the year, and began raising funds to help build some new classrooms for Sacred Heart Primary School in Naivasha, Kenya, that would replace the current temporary buildings. 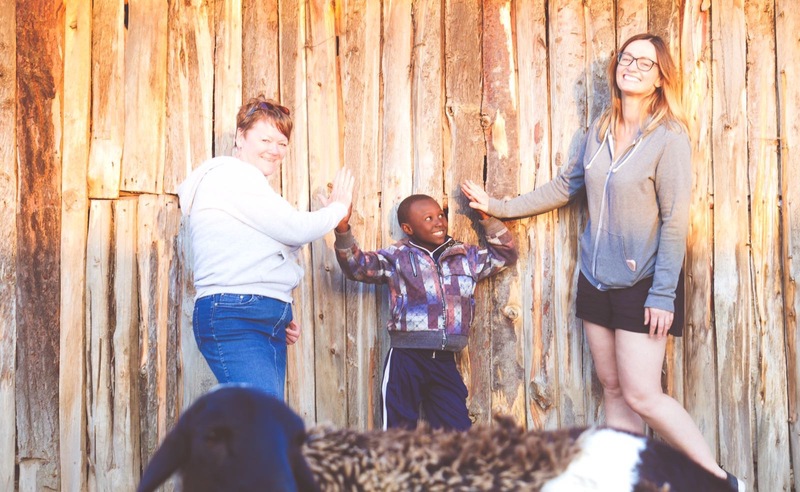 Alongside all kinds of fundraising efforts held on home turf in Northampton and Coventry, three of our staff volunteered to go out to Kenya and lend a hand in any way that they could. 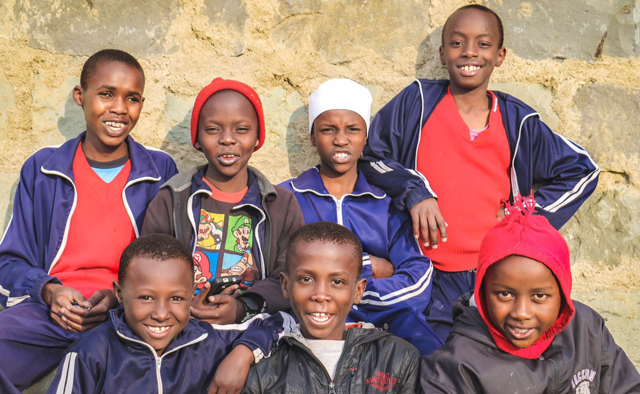 The school itself was initially set up by a remarkable woman, Sister Cecilia Wangari, who wanted to provide a safe haven for orphaned and destitute children, with access to education and opportunity. Sacred Heart currently has more than 120 day students – around half of which also call the school home. 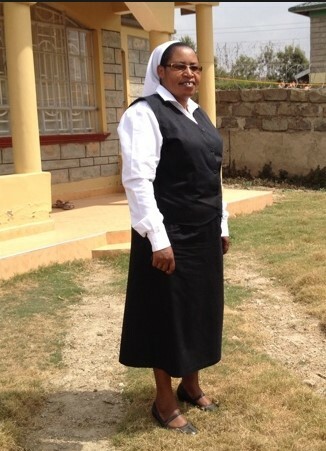 Sister Cecilia’s hard work and dedication has made a huge difference to the lives of many children who would otherwise be left to survive as best they could in the nearby slums of Nairobi, often without any family to take care of them. 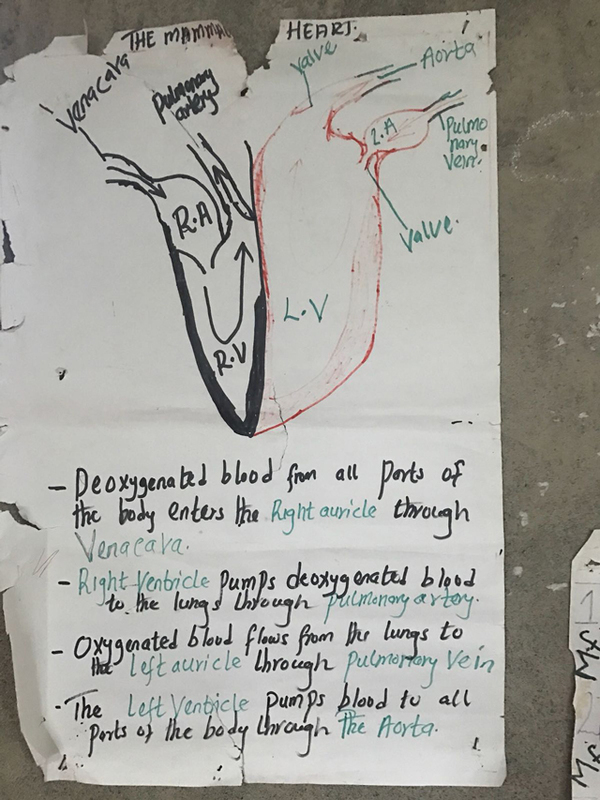 But her resources are limited and the school’s continued development relies entirely on the funds raised by its representing charity – The Kurari Project – which is why we want to help. 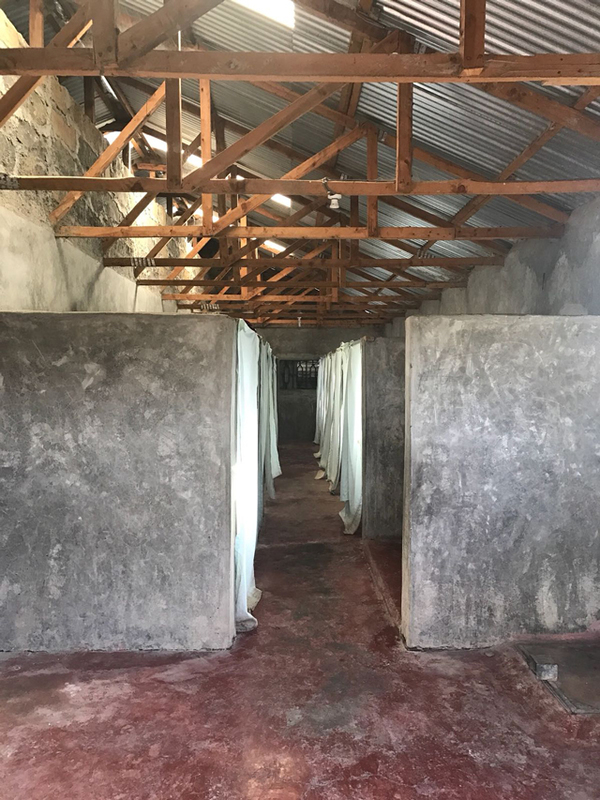 The main priorities of the project include setting up basic amenities such as clean water and reliable electricity, as well as building brand new classrooms so that the children can learn in a safe and comfortable environment. When our Staysure volunteers visited the school last June, they were able to get a better idea of what could be done to improve the lives of the children and staff. Simple things like swapping the scraps of fabric for real shower curtains and fitting doors to separate the toilets from the bedrooms would make such a huge difference. Not to mention give a greater sense of privacy and dignity – especially for the older students. We also donated seven computers to the school which we hope will open up a whole new world of possibility, allowing the children and staff to learn basic IT skills. During their time at Sacred Heart, both Loraine and Natasha expressed a deep realisation of how much we take for granted with our everyday luxuries. They were also taken aback at how gracious and polite the children were – never complaining and always grateful, with an unwavering commitment to their studies. One of the highlights of the week was taking the older children, who’d just sat their exams, on a field trip to the Masai Mara National Park. 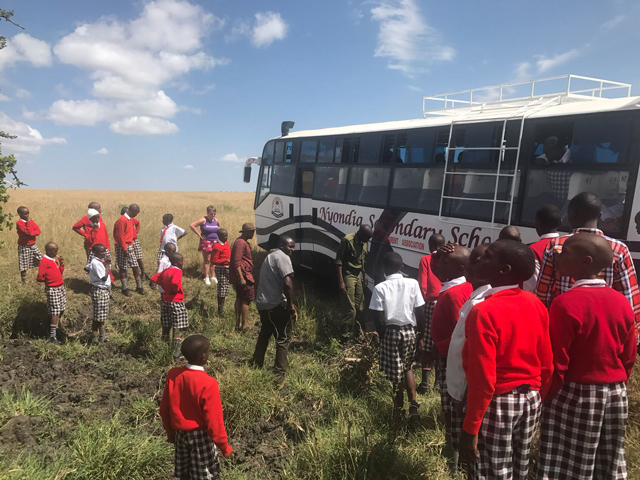 Despite growing up in Kenya, many of the children had never seen their country’s incredible wildlife so this excursion was a huge treat for them. 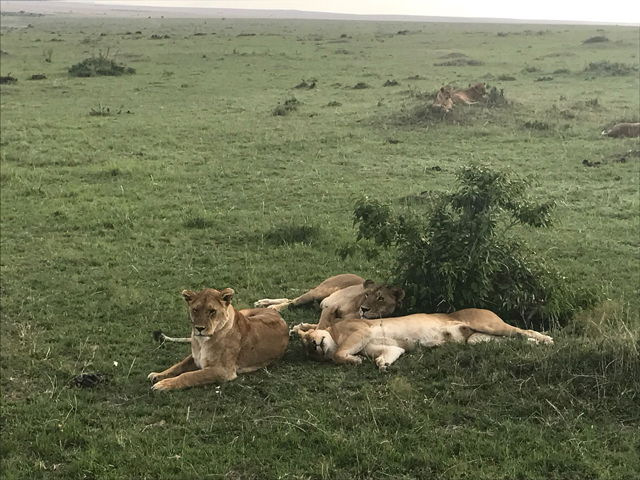 The trip was only made possible by borrowing an old bus from a local secondary school which ended up getting stuck for five hours whilst Natasha and Loraine kept a lookout for lions! Here’s a short video of our trip! 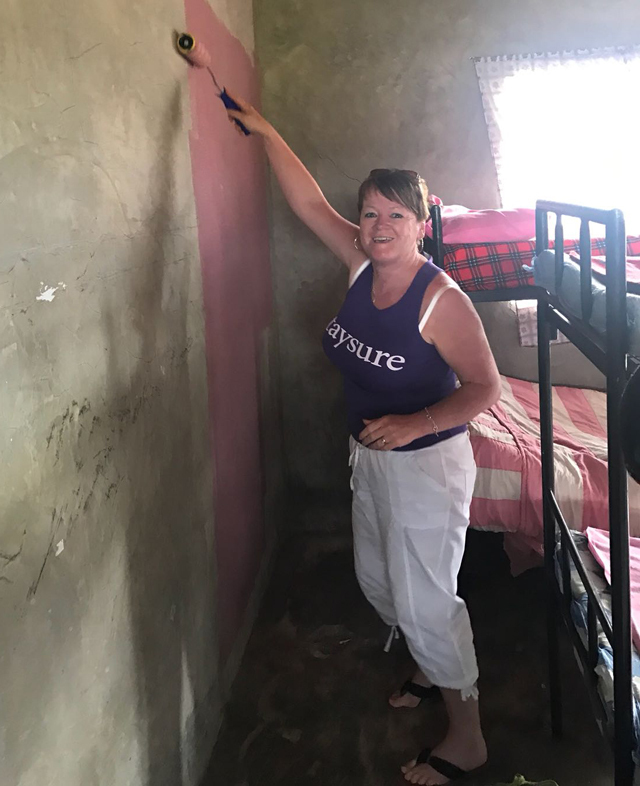 The following day, Natasha and Loraine decided to paint the bare walls of children’s dormitories to make them more homely. After bartering for paint at a nearby store, they set to work. Meanwhile, Mickey was busy creating a new website for the school and recording lots of video footage for a documentary, which we hope will help to raise awareness of the project and facilitate further improvements. Saying goodbye was inevitably very emotional for our staff and they were each presented with a special gift that was made by local prisoners at the Town Jail as part of another of Sister Cecilia’s community projects. 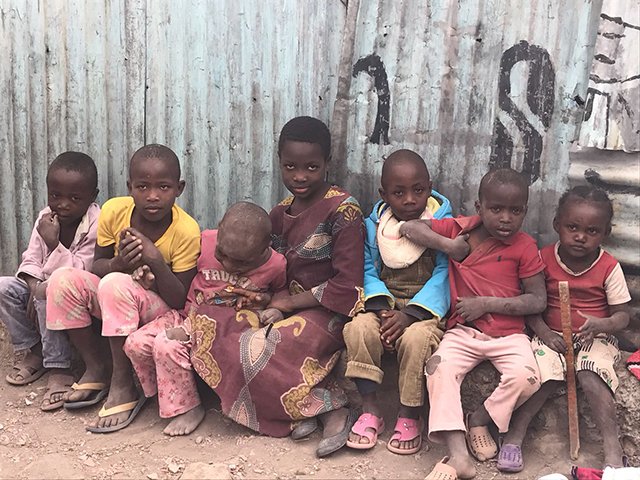 On the way back to the airport, they took a detour to the Mukuro Slums in Nairobi where some of the children had come from. It was here that reality set in as to what conditions are like for so many people who are living in abject poverty. “Words will never describe this place – it was truly eye-opening. 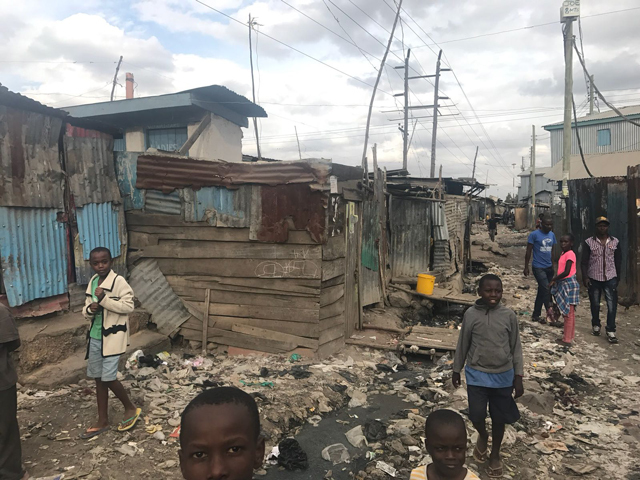 The litter, the tin shacks that were houses, the children sitting next to streams of raw sewerage, the smell, the amount of people. Nothing could have prepared me for the sights and sounds of this slum. But one thing stood out above everything else, and that was that most people welcomed us to their homes. Which is why every penny we can raise really does make a difference. Initiatives like the Kurari School Project are important as they can give children a chance to make a better life for themselves through having access to education in a safe and loving environment. Having initially set our target to raise enough money to build three classrooms, we were extremely happy to raise enough money to help build six classrooms for Sacred Heart School! Staysure plans to send two more employees out there this year who will set up computers and offer basic IT training. 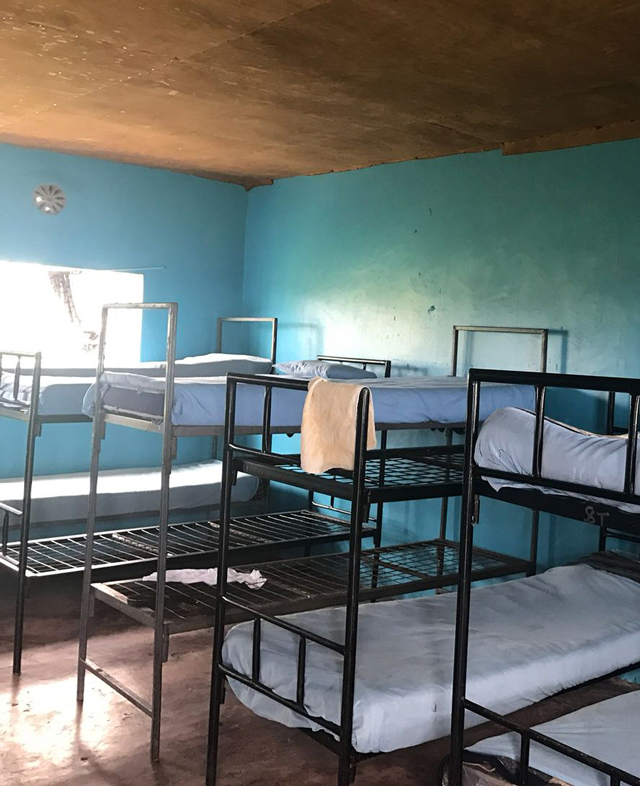 They will also be taking heed of Natasha and Loraine’s suggestions to paint the classrooms and shower cubicles as well as sprucing up the curtains and fixing any broken furniture. We will continue to raise funds to build the new classrooms through various in-house events such as cake sales, tuck-shops and Fun Fridays. Donations can also be made on the project’s GoFundME page. 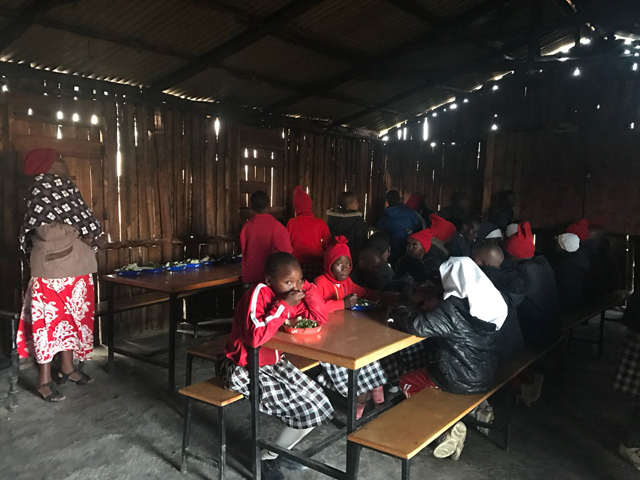 You can visit the school’s official website that we helped build during our last visit, and keep up to date with news and events on the Karuri Project Facebook page.